After pointing out by John Clause, I have just updated the plugin for Wordpress 4.1 and Buddypress 2.1.1. Now enjoy the facebook functionality with Social Networking of Buddypress in Wordpress. ** when user log into your website, user is redirected to his/her profile. ** when user try to move to homepage, user is redirected to his/her profile. ** when user logs out of your website, user is redirected to homepage of the website. because once users are logged in, there is no need to appeal them to register,so they shouldn't be sent their again. 3. Under settings, from BP Profile as Homepage settings, you can select the user role who can view homepage.by default, no one is allowed to view the homepage. 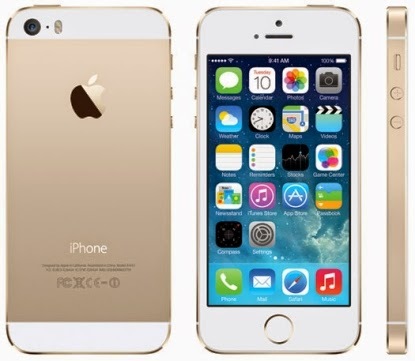 Will your iPhone 5s or 5C work with 4G in India ? 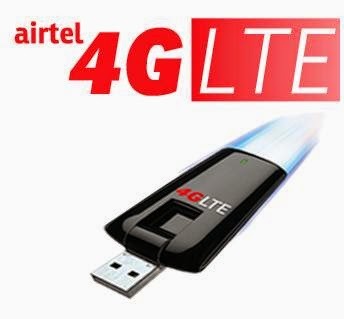 Airtel has launched 4G in India. But in the market there only few smartphones or devices support 4G. 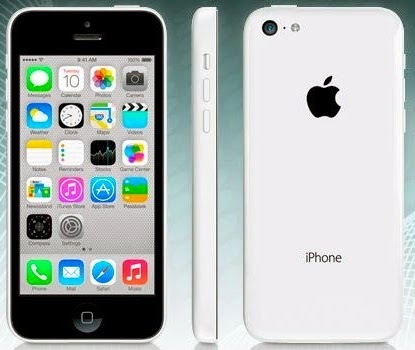 iPhone is one of the smartphones which support. But do you think your iphone will work with Airtel 4G? iPhone 5s, iPhone 5c, iPhone 6 and iPhone 6 Plus support 4G. But condition is you must have purchased these iPhone from Apple Store in India. It should not be imported to India. Yes, you read it right. If you have someone has gifted you iPhone from Outside India, 4G will not work on that iPhone. Reason is 4G is India having different frequency than other countries. Because of frequency mismatch 4G will not work in imported models of iPhone. If you want to check whether your iPhone is compatible to Indian 4G, then just check the model number of iPhone 5s or iPhone 5c at the back. In case of iPhone 5s, it should be A1530 and in case of iPhone 5c, it should be A1529, only then 4G will work in India in your iPhone. If it is something else, there are chances that Airtel 4G will not work. In India, Airtel has launched 4G service at 2300 MHz. Very soon, Reliance 4G is going to be launched and everyone is expecting that Reliance 4G will work with all iPhone models no matter from these have been purchased because Reliance is expected to launch 4G at the frequency of 1800 MHz. if you are iPhone Fan like me, but ended with Android Phone, then this post is for you. iPhone provides the simplest interface whereas Android is difficult for new users. But if you wish to have the simplicity of iPhone on your Android Phone, it is very easy. You do not even need to root your phone. Just install a special Launcher which gives the FEEL of iOS7 to your Android Phone. The Best Launcher for iOS is KuKool Launcher (Cool Launcher). Its the most lightweight launcher, which does not require any external plugins to be installed. Just 6 mb with all features. One of the more powerful, and probably least used, set of keyboard shortcuts involves the Windows Logo key, which is common on most keyboards packaged with a Windows-based personal computer these days. We use the search box located on the Start Menu. But, as the following list shows us, there are definitely opportunities for increased efficiency within the matrix of keyboard shortcuts. Windows logo key Open or close the Start menu. Windows logo key +Pause Display the System Properties dialog box. Windows logo key +D Display the desktop. Windows logo key +M Minimize all windows. Windows logo key +Shift+M Restore minimized windows to the desktop. Windows logo key +E Open Computer. Windows logo key +F Search for a file or folder. Ctrl+Windows logo key +F Search for computers (if you're on a network). Windows logo key +L Lock your computer or switch users. Windows logo key +R Open the Run dialog box. Windows logo key +T Cycle through programs on the taskbar. Windows logo key+number Start the program pinned to the taskbar in the position indicated by the number. If the program is already running, switch to that program. Shift+Windows logo key+number Start a new instance of the program pinned to the taskbar in the position indicated by the number. Ctrl+Windows logo key+number Switch to the last active window of the program pinned to the taskbar in the position indicated by the number. Alt+Windows logo key+number Open the Jump List for the program pinned to the taskbar in the position indicated by the number. Windows logo key +Tab Cycle through programs on the taskbar by using Aero Flip 3-D.
Ctrl+Windows logo key +Tab Use the arrow keys to cycle through programs on the taskbar by using Aero Flip 3-D.
Ctrl+Windows logo key +B Switch to the program that displayed a message in the notification area. Windows logo key +Spacebar Preview the desktop. Windows logo key +Up Arrow Maximize the window. Windows logo key +Left Arrow Maximize the window to the left side of the screen. Windows logo key +Right Arrow Maximize the window to the right side of the screen. Windows logo key +Down Arrow Minimize the window. Windows logo key +Home Minimize all but the active window. Windows logo key +Shift+Up Arrow Stretch the window to the top and bottom of the screen. Windows logo key +Shift+Left Arrow or Right Arrow Move a window from one monitor to another. Windows logo key +P Choose a presentation display mode. Windows logo key +G Cycle through gadgets. Windows logo key +U Open Ease of Access Center. Windows logo key +X Open Windows Mobility Center. It has been always a difficult task for every ios device owner to transfer media to their device. iPod / iPhone / iPad are itself very easy to use and very user friendly but the software iTunes so difficult to use and make a simple task of transferring videos or songs very tedious. Apple has been criticized for iTunes. But there is nothing can be done about it. But there are developers who are listening to needs of Apple Costumers. In this article, I will present 4 software applications which makes your life easy and you can easily transfer media. Dynamic DNS is a method of automatically updating a name server in the Domain Name System, often in real time, with the active DNS configuration of its configured hostnames, addresses or other information. Dynamic DNS providers offer a software client program that automates the discovery and registration of the client system's public IP addresses. The client program is executed on a computer or device in the private network. It connects to the DDNS provider's systems with a unique login name; the provider uses the name to link the discovered public IP address of the home network with a hostname in the domain name system. Depending on the provider, the hostname is registered within a domain owned by the provider, or within the customer's own domain name. Are you bored of the default LOOKS and ICONS of android phone ? Now its time to change the looks of your phone.